Turkey announced on November 11 that it will purchase the S-400 missile defense system from Russia. ANKARA— After years of zigzagging between NATO and non-NATO options to build its first long-range air and anti-missile defense system, Turkey has finally decided to go for both Russian and European offerings. Turkish Defense Minister Nurettin Canikli said Nov. 11 that a deal for the acquisition of the Russian-made S-400 system has been finalized. The S-400 contract will cost Turkey anywhere between $2 billion and $2.5 billion, procurement officials say. Ankara and Moscow have been negotiating a deal since last year. 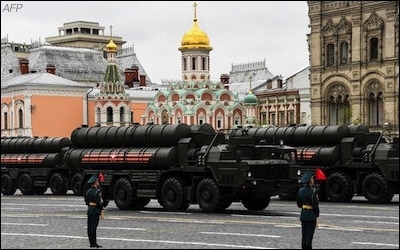 Once deployed on Turkish territory the S-400 system will operate as a stand-alone architecture as it cannot be made interoperable with the U.S. and NATO assets in Turkey. Meanwhile, Turkey, France and Italy have signed a letter of intent to boost their defense industry cooperation. The accord calls for cooperation on military electronic systems, military software, simulator systems, communications equipment and air defense systems. As part of the accord, the European defense concern Eurosam, maker of the SAMP/T air defense system, will launch work together with Turkish companies to examine air defense system requirements of Turkey, France and Italy. Canikli said that the three countries will jointly work to develop, produce and use the SAMP/T system. In 2013 Turkey selected a Chinese company, CPMIEC, for the acquisition of its long-range air and anti-missile defense program. Under pressure from its NATO allies Turkey later scrapped that program. The S-400 deal will be direct acquisition, not co-production while the SAMP/T contract will involve know-how, technology transfer and co-production. Eurosam is expected work with two state-controlled Turkish companies, Aselsan and Roketsan, for the SAMP/T program.